A friend referenced a comment on an old post (2006) at baylyblog.com by Fr. Bill Mouser, which contains some interesting thoughts on the path toward theological liberalism in denominations. The post concerned indications of liberalism in the chapel program at Covenant College, but the comment is more broadly applicable. Evidently, a large part of the problem is academic elitism at seminaries and ecclesiastical colleges, without sufficient oversight by the denomination. 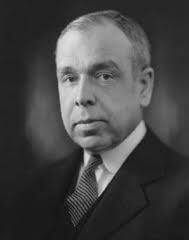 While this deviates from the jgmachen.org blog’s practice thus far of dealing with matters directly related to Machen himself, it is a modern example of the sort of problem with which Machen dealt. Here’s the comment, with a few spelling corrections. 1. Commit the theological training of the church to specialists (seminaries; ecclesiastical colleges) and send your members and future leaders to be trained in these institutions. 2. Local leadership must get busy with doing ministry and advancing the gospel; experts should get busy doing what experts do best: training the next generation of leaders. 3. When the experts diverge from standards, don’t worry. That’s what experts are for… to push the envelope, advance in faith and practice. Those in positions of local congregational authority and those who fill the pews should keep on keeping on, and let the experts do the same. 4. As the experts wander further off the reservation, they champion three things: (a) the generosity of spirit all Christians should have toward one another, and (b) the critical need for pastors and parishioners to remain engaged in their own local work of ministry, (c) the integrity of those who appear to be off the reservation, but who are not. 5. Eventually, those who are training the next generation of leadership will find themselves with a mild and pleasingly intoxicating messiah complex concerning their church and its future. Those on the local scene, meanwhile, have their hands full with… well, local things. 6. Points Nos. 4 and 5 above proceed for a few decades, and two things result: (a) the “old guard” are near to retirement, and in any event they are sufficiently old and tired that a “rescue the church” crusade appears too difficult to undertake. Who wants to end his ministerial career with a donnybrook? And (b) the new generation of leaders are moving into pulpits and other institutional positions of power. The spiritual evolution of every American Christian institution — especially denominational structures — has followed these six points over the past 250 years. What is dismaying to me — who stands outside Presbyterian experience — is to watch this process run its course in my own lifetime with the PCA. Those who will make the decisions of this church are sitting in classrooms today. In another decade, those who are trained by PCA educational institutions will sit in sessions and presbyteries throughout the land. As far as the relationship of men and women in home, church, and society is concerned, what flag will they hoist in the name of the PCA? The answer is as obvious as anyone could wish, if they would only look at how this playbook has played out in other ecclesiastical climes.